Vecchio Cesspool has been handling the cesspool needs of Nassau and Suffolk County residents for more than 30 years. From general maintenance to new installation, you can this leading cesspool service Long Island to make sure your system is running smoothly and efficiently so you can avoid a major headache. Whenever you flush a toilet, take a shower, wash the dishes, or run a load of laundry, you probably don’t think much about where that water and waste goes. It disappears like magic, and you’re left with an empty drain or a toilet of clean water. But that mucky water and the waste that it holds doesn’t really disappear, it collects in a tank in your yard; otherwise known as a cesspool. If your cesspool isn’t properly maintained, you’re going to be looking at some serious problems. If it’s full or a part of the system is damaged, instead of disappearing, that water and waste is going to be in plain sight. Here’s a look at three very good reasons why cesspool service Long Island is an absolute must. Servicing your cesspool will ensure that the system and all of the components of your home that rely on it are running smoothly; your toilets, showers, sinks, dishwasher, washing machine – anything that drains. The one and only function of a cesspool is to collect the wastewater that’s flushed down the drains in your house. In order to serve its function, it needs to be in proper working order. That means that the buildup of wastewater, sludge, and muck that collects into has to be cleaned out (once every three to five years is recommended). It also means that the tank and the pipes that run to it have to be inspected to make sure that they are in good working order. If don’t service your cesspool, it’s a pretty safe bet that a backup is going to happen, and you’re going to have some pretty big problems on your hands. Whatever you flush down your toilets and drains – the water and any waste that’s in it – collects in the cesspool. As you can probably imagine, that wastewater is very toxic. It there’s something wrong with the system or the tank has reached capacity, that wastewater will end up pooling in your yard, flowing back into your drains, and it could possibly even cause a flood. Cesspool backups aren’t just messy; they’re dangerous. Exposure to that toxic water can lead to serious health complications. By having your cesspool maintained, you can ensure the safety of yourself, your family, and anyone else that could be impacted by an overflow. Another way that maintaining your cesspool can improve your safety is by preventing a collapse. If these tanks aren’t properly cared for, they can collapse; and a cesspool collapse can be extremely dangerous. With routine service, you can reduce the chances of a collapse. If any issues are spotted, they can be repaired before a collapse occurs, thus improving the safety of your property. A lot of people put off servicing their cesspool because they don’t want to deal with the expense; but, saving a few bucks now will end up costing you a fortune down the line. If the tank overflows or becomes damaged, you’ll have to shell out a lot of money to have the mess cleaned up or the system repaired. Servicing your cesspool on a regular basis can actually end up saving you a lot of money in the long run. If your Long Island home has a cesspool, servicing it is an absolute must. 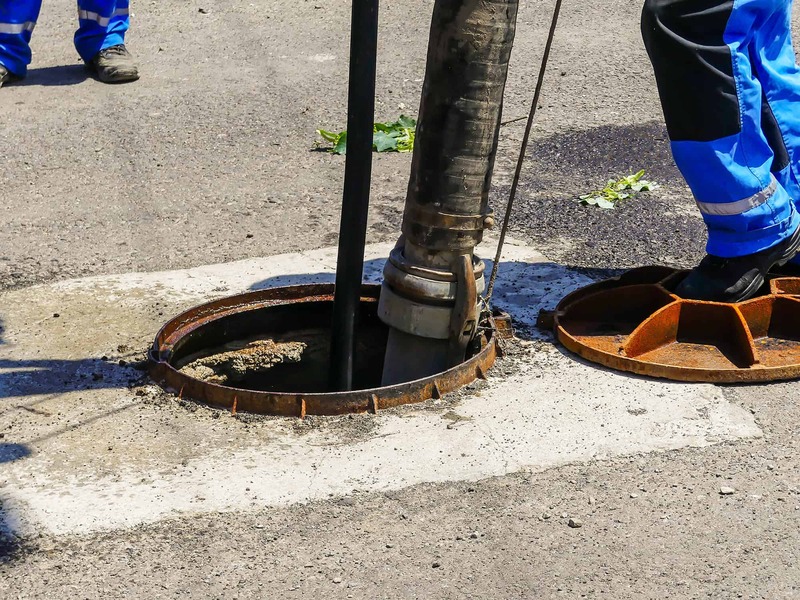 For reliable, efficient, and affordable maintenance, contact Vecchio Cesspool, one of the most trusted cesspool service companies in Nassau and Suffolk Counties. Call 631.451.6818 to schedule a service today! © 2018 Vecchio Cesspools. All Rights Reserved.